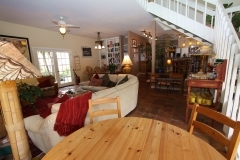 A versatile property, rent the home as a 3bd/3ba home OR as a 4bd/ba home OR experience it as a four room bed and breakfast; the choice is yours! 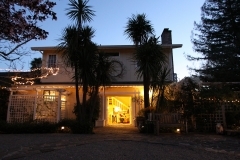 Centrally located just four blocks from downtown Calistoga, the Calistoga Wayside Inn radiates the charm and elegance of a bygone era but features amenities of today. 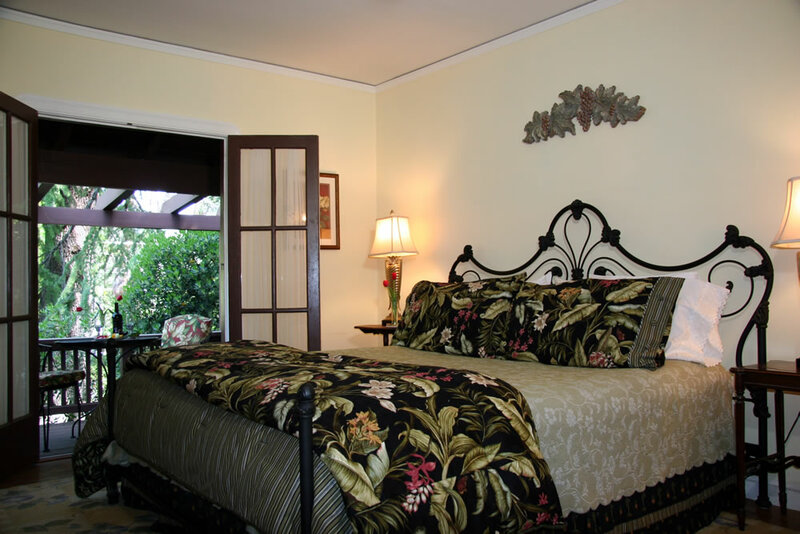 Guests admire the authentic 1928 Mediterranean, Spanish Colonial Revival style architecture and feel at home in one of the King bedrooms with private baths. 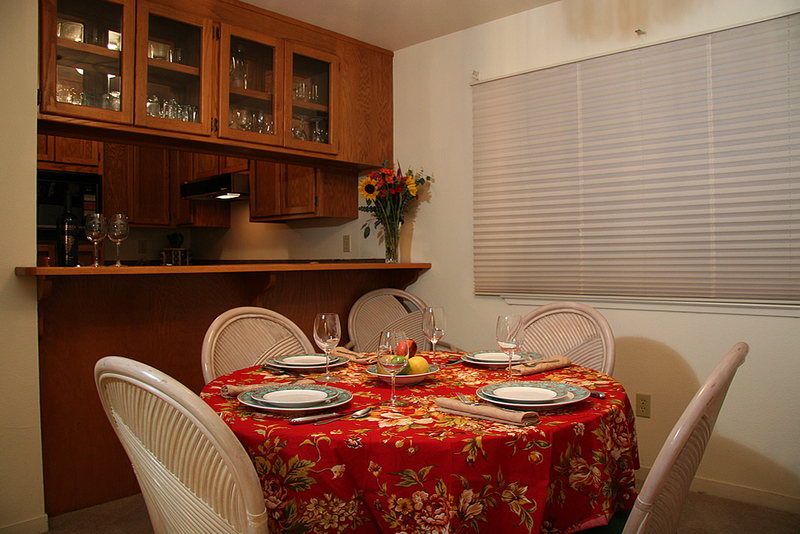 The beautiful, peaceful gardens surrounding the home make relaxing on the different balconies and patios easy. Stroll four blocks to downtown Calistoga to discover the different restaurants, shops, and wineries or relax after a full day of wine country adventures in the outdoor spa. 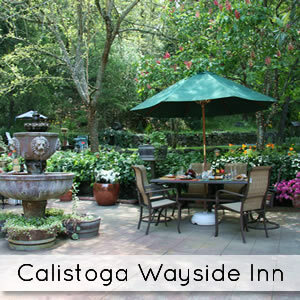 Experience all that Calistoga has, and had, to offer at the Calistoga Wayside Inn. 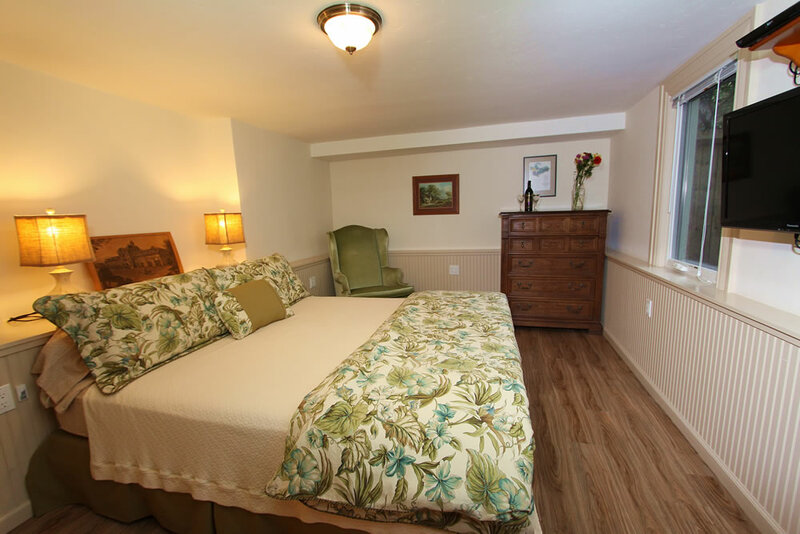 With warm and inviting spaces to gather and create memories with friends and family both indoors and outdoors, the Calistoga Wayside Inn offers guests traveling in groups a delightful lodging alternative in the Napa Valley. 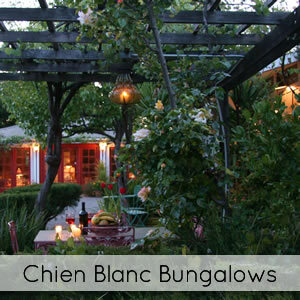 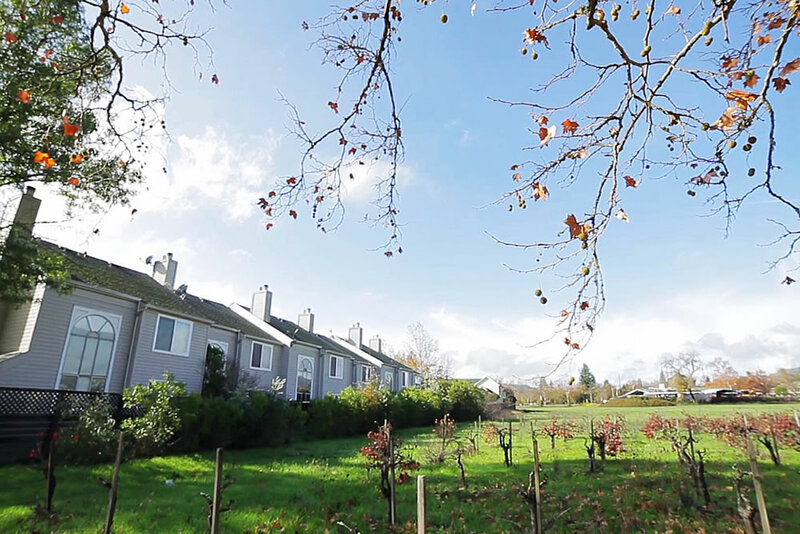 Make this inn your exclusive retreat during your wine country vacation. 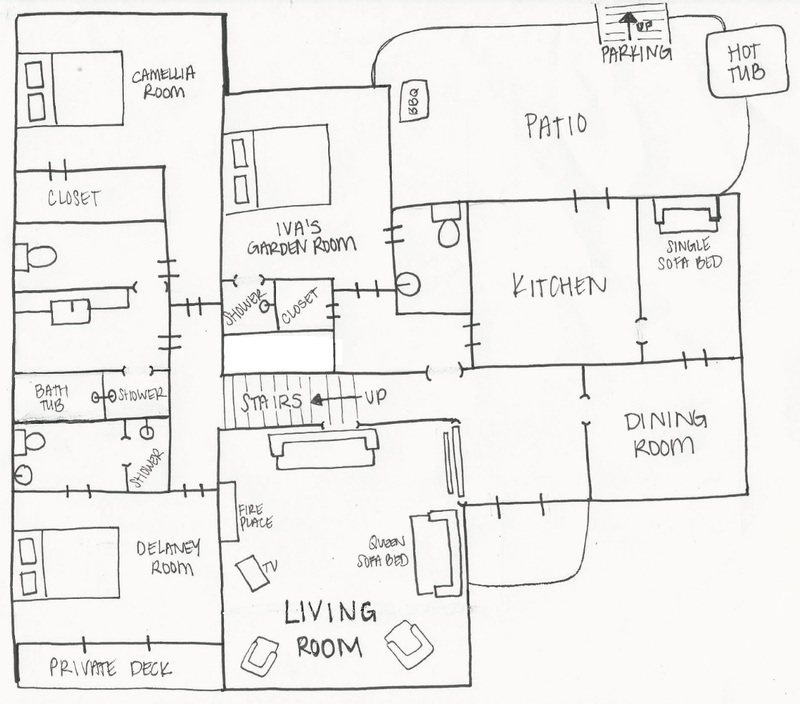 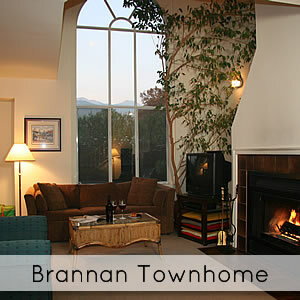 Join together in front of the wood-burning fireplace in the living room to watch a movie or play games. 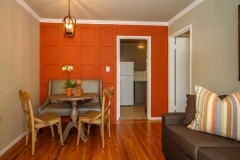 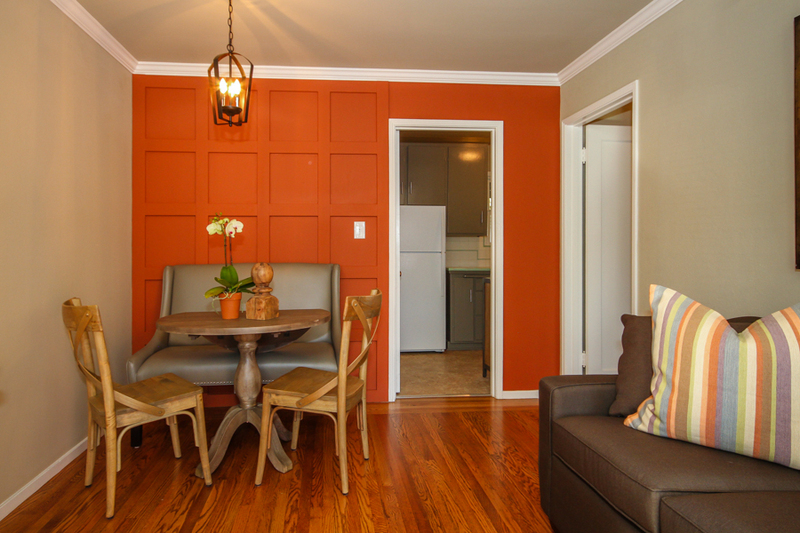 Take advantage of the fully equipped kitchen and BBQs to create and share a meal together. 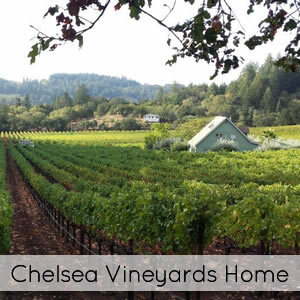 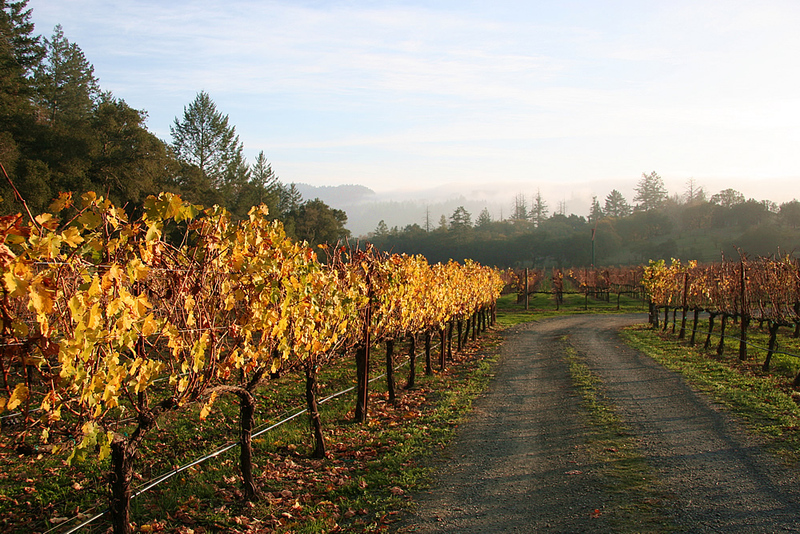 Experience all that Calistoga and California’s premier wine regions have to offer by strolling four blocks to Main Street or by capitalizing on the home’s central location to Napa, Sonoma, and Alexander Valley wine regions. 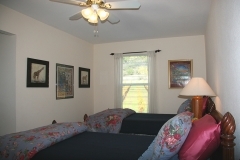 Extra bedding available: Queen sleeper sofa in the living room, Twin sleeper sofa in room off the kitchen, and Twin rollaway. 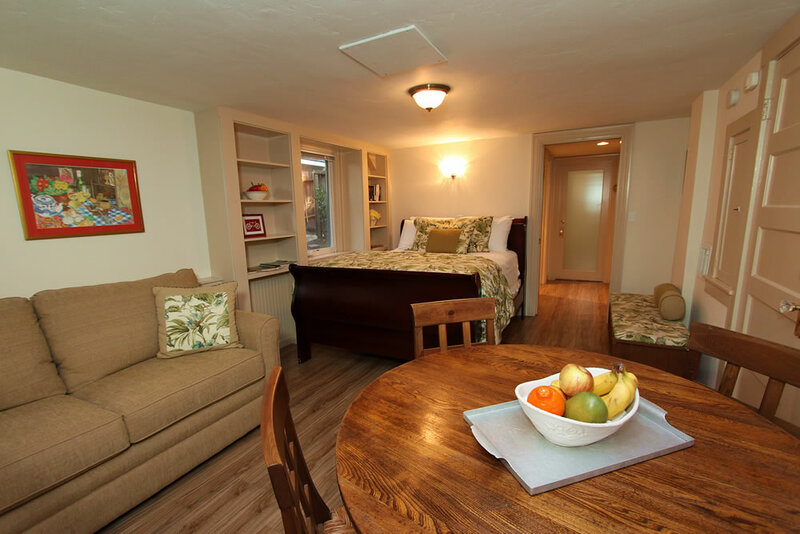 Looking for a single room? 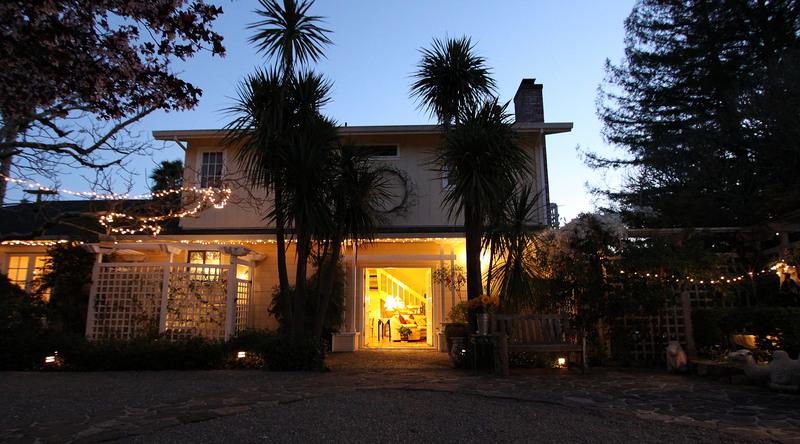 Consider Calistoga Wayside Inn, a classic Napa Valley bed and breakfast inn featuring the flare of 1928 architecture while offering amenities from the modern age. 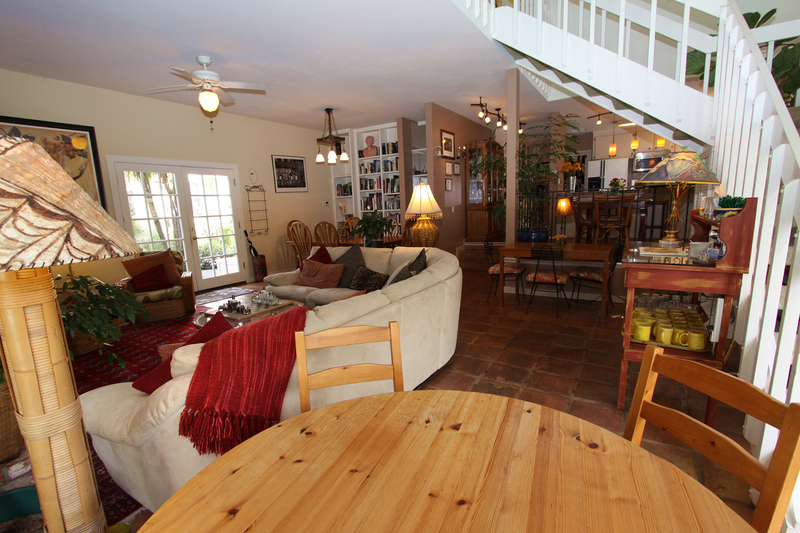 Enjoy your full breakfast on the picturesque outdoor patio surrounded by hummingbirds and trickling fountains or inside under the home’s original, vaulted ceiling. 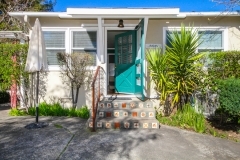 Named after Iva White who lived here in the 1950’s and did most of the initial landscaping and terracing in the backyard. 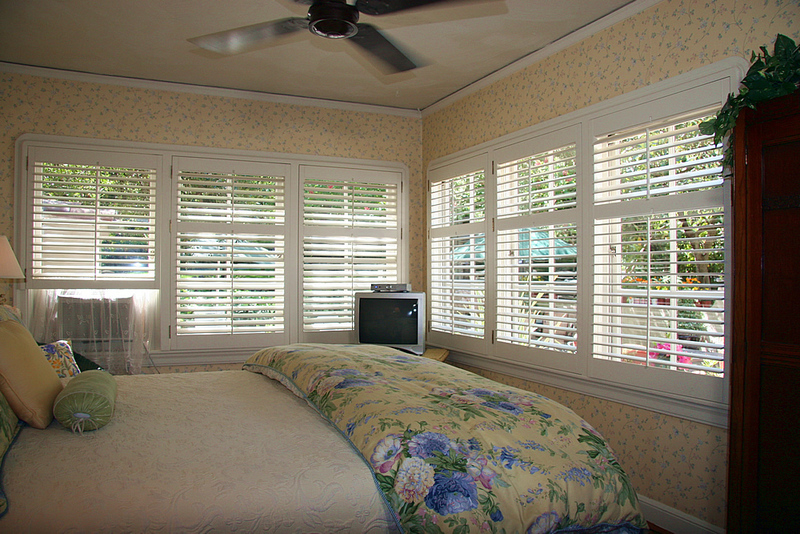 The room provides a southern-comfort feeling with its plantation-style shutters. 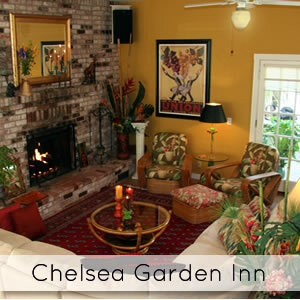 It is located on the first floor and offers a view of the back patio with its Spanish fountain. 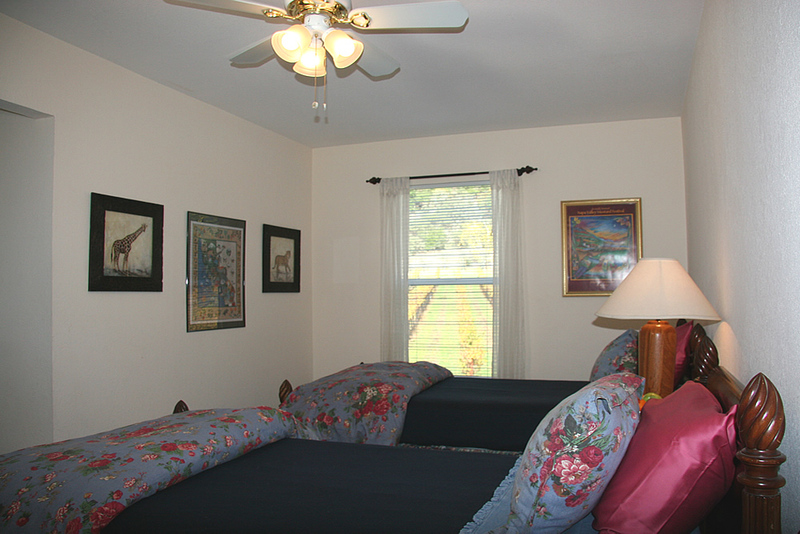 It has a comfortable king-size bed and contains its own bathroom facilities with shower. 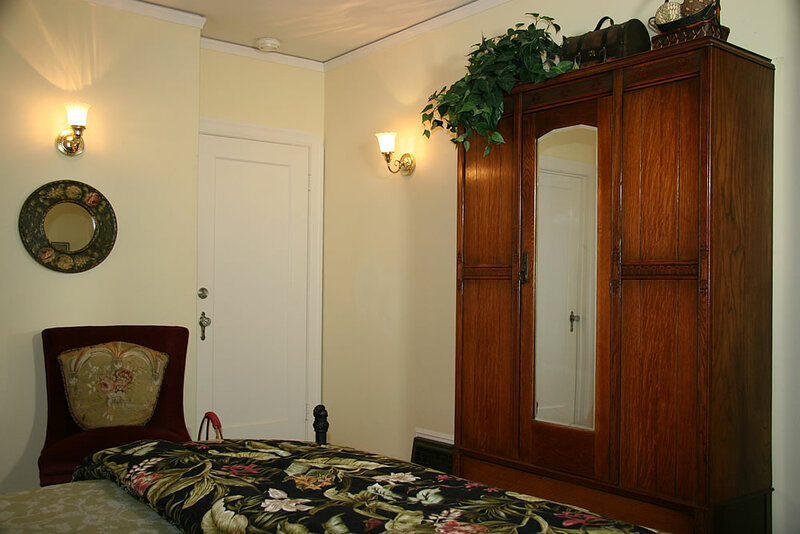 It is our brightest and sunniest room. 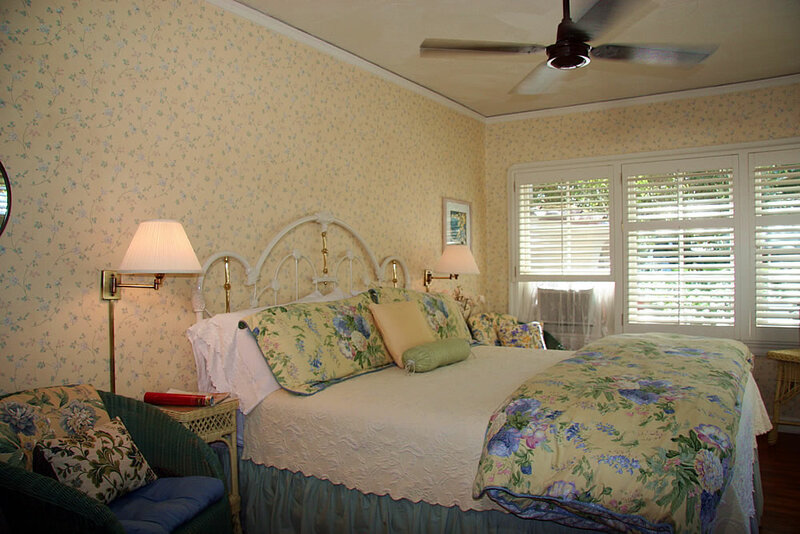 Located upstairs, this room has a king-size white and brass bed. 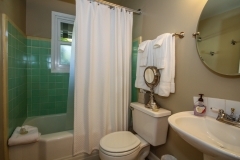 This room is popular for its romantic ambiance, quiet privacy and unique bathroom. 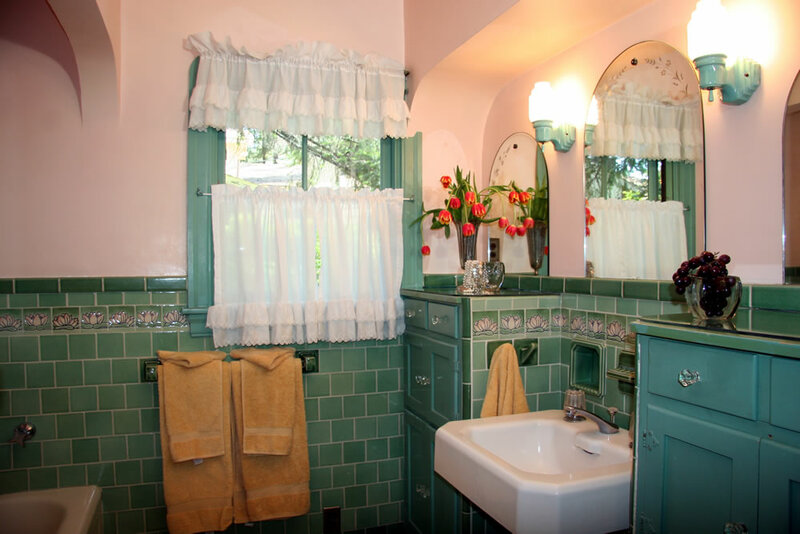 Guests in this room use the private original master bathroom with its original 1928 fixtures and tile. 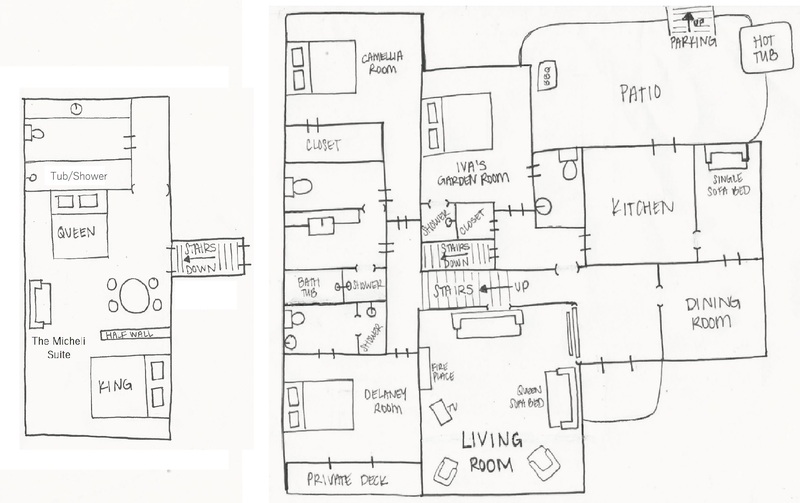 The bathroom contains a full shower as well as a full bathtub. 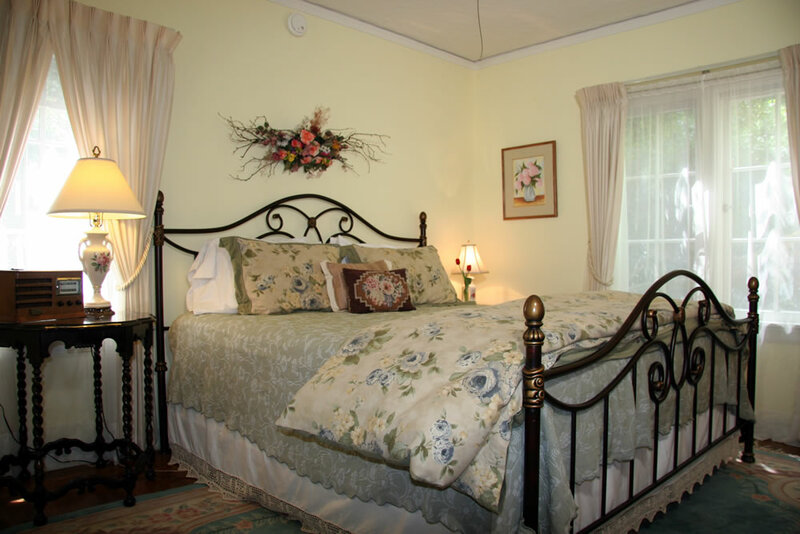 The newest addition to the inn, the Micheli Suite features a King bed and Queen bed, full bathroom, dining table and seating area. 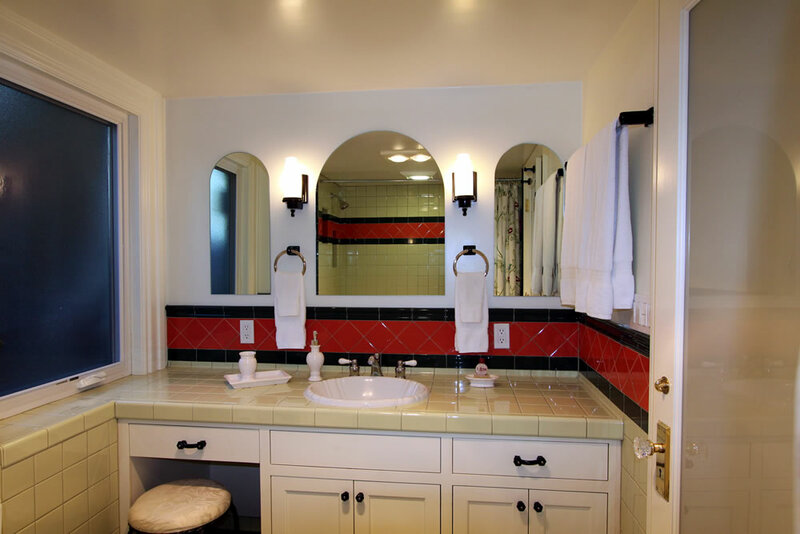 The bathroom’s beautiful tile work compliments the original style of the home while the bathtub, shower, vanity, and heated lamps offer guests the comforts of modern amenities. 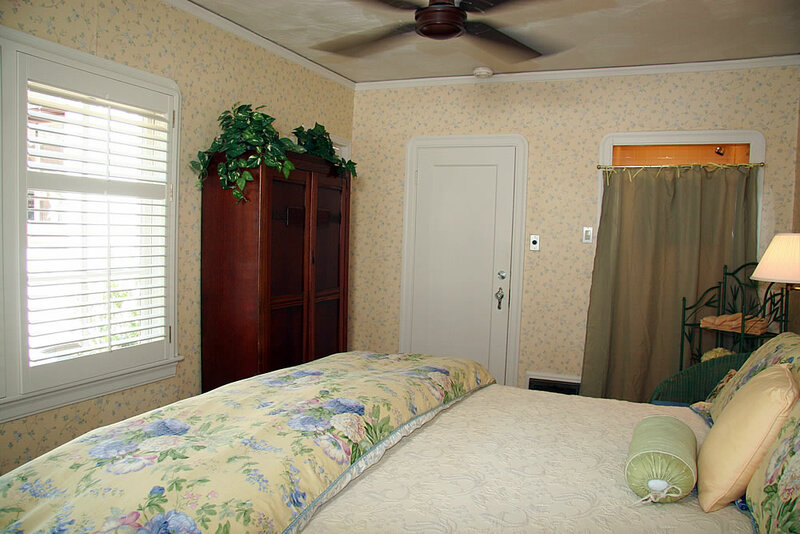 This is the largest, original room and is located on the second floor. 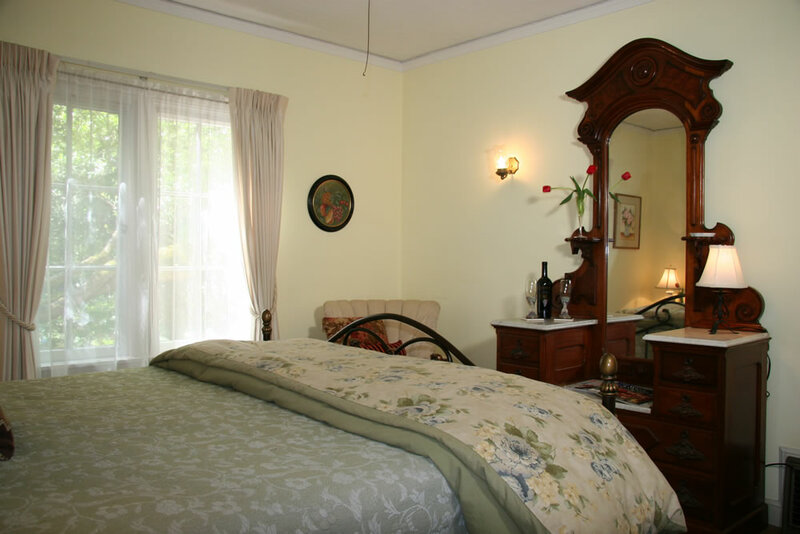 It has a wonderful king-size bed and contains its own bathroom facilities with shower. 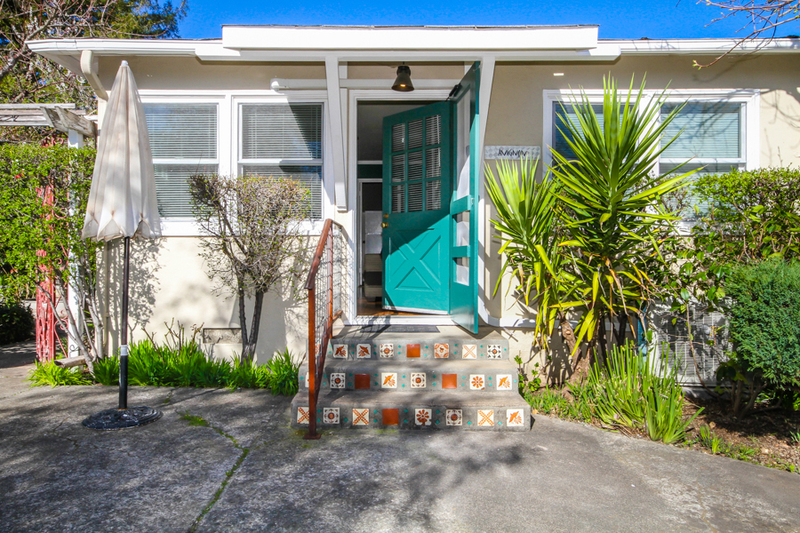 Step outside of the lovely French door onto a small balcony with wicker furniture overlooking the beautiful trees and the front yard gardens. 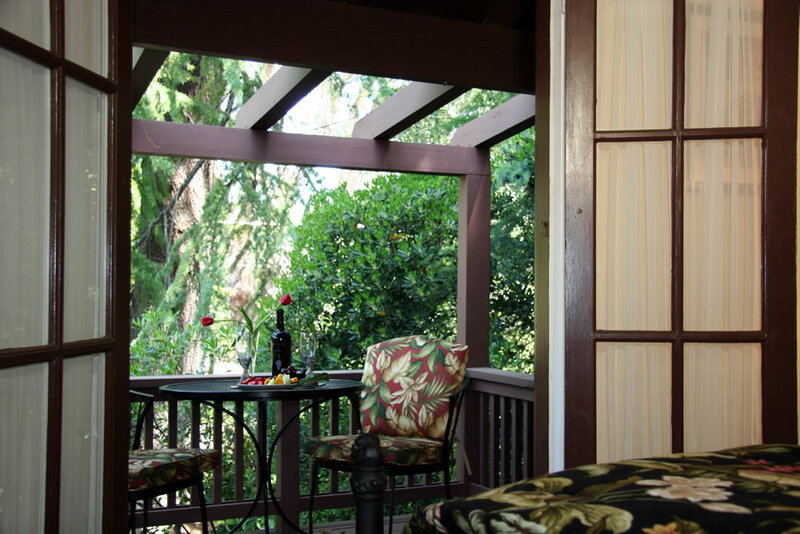 The Delaney Room provides a restful retreat after your busy day in the wine country.